Soccer involves almost nonstop movement. It’s a very physically demanding game that requires excellent fitness. Soccer players need to have a high level of stamina to be able to walk, sprint and jog for an extended period. 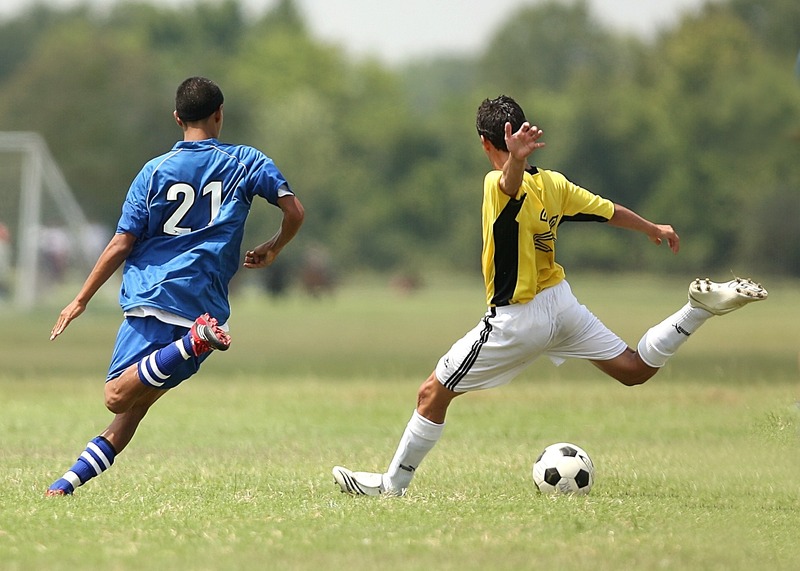 A regular match lasts 90 minutes, as a soccer player you need to be able to remain energized for that whole period. Doing laps or running steadily for hours is not enough to build the endurance necessary to be a successful soccer player. Come to Athletic Republic of Orange County and learn how a proper sports training routine can help you become that soccer player you aim to be. For now, read this post to get some tips on how to build your stamina. Regular cardiovascular exercise is one of the best ways to increase your stamina. The average soccer player spends up to 59 minutes, of the 90-minute long match, running or jogging. It’s essential to simulate those distances when you’re training so your body will be ready for an actual game. The great thing about cardio is that you have a surplus of options to build your endurance. You can use the treadmill, go swimming, or add some cycling. Aim for 30 to 50 minutes of cardio in your routine. There are plenty of drills you can practice on your own or with a teammate, and sprinting is one of the most basic ones. Research performed by Umbro Conditioning stated that players spend 10 to 15 percent of a match sprinting. You must be able to adjust your body from sprinting to recovering quickly to sprinting again. To add sprinting to your sports training, start with performing ten sets of 20-yard sprints. You should rest for 30 seconds between each set. You’re aiming to increase your stamina and improve your recovery rate after each sprint. Strength training builds muscles and helps increase your stamina. You’re able to handle more when your body is stronger. Your weights-based-soccer-circuit training should work your whole body. Include a combination of weights, push-ups, squats, sit-ups, and lunges. Be sure to rest for a minute or so between each set. If you need help creating an appropriate strength training routine to help your muscle and stamina, a personal trainer can help you out. Athletic Republic of Orange County offers various sports training programs that can help you reach your athletic goals. Call them at (714) 972-2762 to learn about their soccer training program and other options. Stretching is essential before you start you stamina-building workout. It won’t necessarily build your endurance, but it will help you remain healthy on the field. There are many great benefits of stretching; health is only one of them. Forgoing to stretch before and after a game or a workout thoroughly, can lead to pulling a muscle or an even worse injury. Pay close attention to stretching your legs, but don’t neglect your core and upper body. All the effort you make training to become a better athlete can become meaningless if you don’t get the necessary eight hours of sleep. Rest and recovery are essential to any workout. Your body needs to refuel and recover so it won’t slow your progress down. If you seriously want to make some changes to your game and improve your stamina, you will need to catch up on you much needed sleep. Your physical fitness is directly impacted by the fuel you provide your body. You need to follow a healthy diet, consisting of three balanced meals and some smaller meals in between them. Giving your body the necessary fuel will help you reach your goals much faster. Soccer players need to maintain a diet centered on foods that are high in carbohydrates and low in fat. You must also avoid sugary treats and soda. If you're looking to improve your game and increase your stamina, you need to have a training program specifically designed for yourself. The expert trainers at Athletic Republic of Orange County can help you reach all your athletic goals. Call them at (714) 972-2762 to learn how they can help you.